Evaporative cooling is the process of drawing fresh air from the exterior of the house and passing it through water soaked filter pads. This essentially cools the air while concurrently diverting it to each room in the house. Evaporative air conditioners work to essentially flush out and filter the warmer air and replace it with cooler cleaner air. A ducted cooling unit is installed on the roof and connected to a series of outlets leading to each section of the home. Is Evaporative Cooling Cost Effective? Evaporative coolers are extremely efficient, as they cost far less than a standard ducted air conditioner to run. This the reason why there has been a steady increase in evaporative air conditioner sales in Melbourne. It is possible to enjoy a cool house during the summer for under around $50 per year in electricity costs. In comparison to other, traditional refrigerated air conditioners, evaporative air conditioning has a lower peak energy usage, doesn’t produce CFCs or HFCs, and less Greenhouse Gases. Apart from the low running costs associated with evaporative cooling, it also remains the the healthiest way to cool your home. Particularly for hay fever, asthma, or allergy sufferers. The absence of harmful refrigerant gases accentuates the benefits of the natural cooling process. It is also far cheaper to install to run compared to traditional refrigerated cooling. Are you looking for an efficient, cost-effective air conditioner? 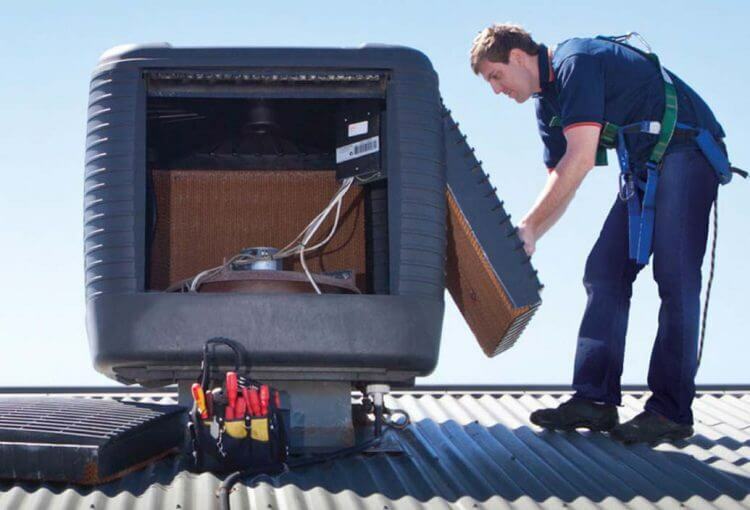 Everlast Air conduct sales in and around Melbourne to allow our customers a cost-effective, healthier, and ultimately greener approach to air conditioning. Call us now on (03) 9335 2900 and start summer the right way.